Zion Promoters & Developers Pvt Ltd is a company founded on the values of consistency, dependability and continuous reinvention. The company was established in 2002. Zion Promoters and Developers Pvt Ltd places sustained emphasis on developing properties with class, comfort and convenience. The company is known to have developed diversified projects in both commercial and residential subsectors. The headquarters of Zion Promoters and Developers Private Limited are in Faridabad, with projects undertaken across Delhi NCR. Zion Promoters and Developers Pvt Ltd are proficient at quality infrastructure solutions at reasonable prices. The company has developed a large number of properties in the areas of Gurgaon, Faridabad, Noida and Delhi. The excellence of the company is highlighted by the fact that each project is unique in design and architecture. Zion Promoters and Developers Private Limited have a distinct identity in creating masterpieces for its client. The driving force of the company is its Board of Directors comprising of three technically qualified, experienced and dynamic young men Mr. Narinder Hooda, Mr.Kuldeep Singh Brar and Mr. Anil Kumar Munjal. The company has a vision of becoming the best in the business, an aspiration they support through their infallible values. 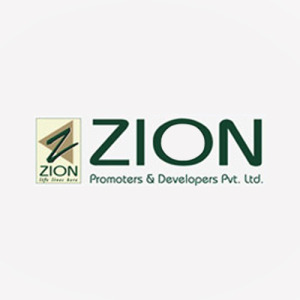 The mission of Zion Promoters and Developers Pvt Ltd is to create a legacy of innovation and progress.